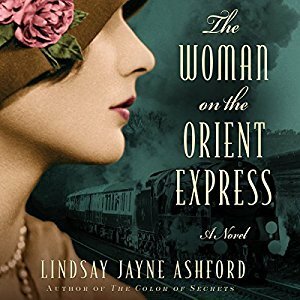 In 1928, Agatha Christie took a trip on the Orient Express under an assumed name, escaping the news coverage of her divorce from Archie Christie. On the train, she meets two other women, Katherine Keeling and Ann Nelson, each of whom also has a secret. The women do not immediately trust each other. Ann is fleeing her husband, and was expecting her lover to join her. Katherine, working for the British Museum as an archaeological artist, is on her way to marry Leonard Woolley, head of the expedition to Ur. She's a widow burdened with a secret from her first marriage, which profoundly affects this new one, and she wants to avoid the whole subject. Agatha wants no one to know who she is, so she can avoid questions about her divorce, as Archie's wedding to the woman he left her for approaches. Ann and Agatha's situations seem enough like the flip side of each other that Agatha wonders at first if Ann is indeed Archie's lover, though she quickly realizes that's impossible. Despite the secrets and stresses, though, on the trip to Baghdad the women bond and come to rely on each other. This continues after they reach Baghdad, and then the dig at Ur, which Katherine invites them to visit, even when all their secrets start to come to a head. It's a story about the interplay of the characters more than about plot, and it's a wonderful evocation of time, place, and character.